With a country-wide ban on foreign gambling and betting sites in the Russian Federation, plenty of punters from the country have had to resort to various ways of bypassing local restrictions to enjoy wagering online. One of the common ways to enjoy gambling under the radar for Russian players was to resort to using Bitcoin online casinos and sportsbetting sites, most likely with a VPN service to cover one’s traces. But according to one Russia-facing betting site, such gambling platforms might not actually be used as they were intended to be. 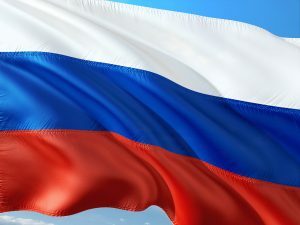 According to a new report from online gambling portal CalvinAyre, the use of Bitcoin in online gambling platforms that target Russian players isn’t always necessarily tied to wagering. Namely, the media portal picked up a local interview with representatives from betting site PariMatch and found out that more than 80% of Bitcoin depositors on the site have never really used their deposited cryptocurrency to place a wager. The interview was conducted with Ivan Lyashenko, who is the product director for PariMatch – a site that holds both a locally-licensed platform with a “.ru” extension as well as an international site with a “.com” extension and a license in Curacao. The local site doesn’t accept Bitcoin, per Russia’s law, but the international site does, which Lyashenko suggested didn’t make much difference to the operator. According to the product director, over 300 users of the international site have deposited Bitcoin into their accounts since PariMatch introduced it in January. However, out of this number, only 50 users have made a wager on the website. Considering the site’s main language is Russian and its target audience is likewise local punters, despite being a separate entity from the local platform, Lyashenko believes that Russian punters are more interested in storing their Bitcoins rather than taking a gamble with them. Bitcoin Criminalized in Russia, or Not? During the past year, the government of the Russian Federation has had some conflicting ideas about regulating cryptocurrencies. First there was an all-out war on crypto assets announced in 2016.Then, the next year brought a change of heart and a warming up to cryptocurrencies, with promises on better regulation being reported on in April. And then, in February this year, reports came in that Russia will criminalize the use of Bitcoin as a payment method in order to protect the national currency – the Ruble. But what’s interesting to note is that while the government is announcing harder regulation (expected to be set in place by July 1st), investors and users in the country don’t seem to be affected. Russia, like China, has a big mining community. There have even been reports on large-scale operations being set up in the country, including industrial premises being bought by notable businessmen. At the same time, hotels in the Russian city of Kaliningrad are now reportedly working with cryptocurrency payment processors to allow the purchase of rooms in Bitcoin for the 2018 World Cup, despite the government’s recent warnings. But sadly, this hasn’t been the case with gambling with the cryptocurrency which is still monitored and strictly forbidden by the local authorities.